Whether you are a war veteran recently entering a new sphere and the civilian life or someone with the right credentials to be eligible for the GI Bill benefits, set a heavy equipment operator career today. Know how life can change from being better to great with you learning the necessary trades of operating heavy equipment – an employable skill with high demand – in the current day scenario. For people shifting from their uniformed duty to civilian jobs, it is more comfortable as well as feasible to be learning the trade, that’s going to be your source of honorable bread and butter post the military service and routine life. The Graduates of the Heavy Equipment Program receive registry in the National Center for Construction Education and Research (NCCER), making them useful and motivated even after changing gears in life. 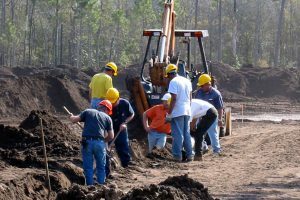 National Training, Inc.’s Heavy Equipment Operator School (HEOS) has offered a fully licensed program for entry-level machinery and equipment operators in the Heavy Excavating Industry since 1978. The four-decade-long experience enable them to be the leaders in the sphere and know where they are heading. A 350 acre plus land to train and learn the skills, and a clientele of over 30,000 graduate students to boast of, there isn’t a better place for you to be if you are interested in a heavy equipment operator career. Learn about the safety and operation of bulldozers, articulating loaders, tractors/loaders, backhoes, and excavators with HEOS, register now!